Every percent can be converted into higher production. 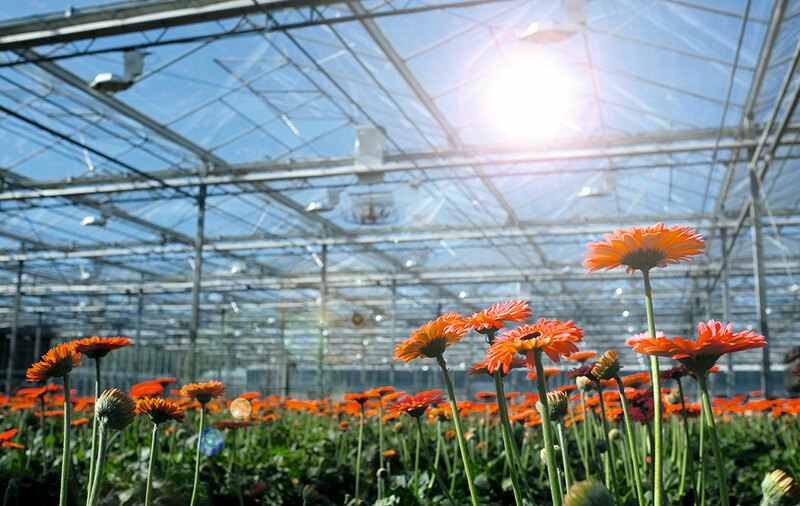 Mardenkro offers a package of solutions (AntiReflect, AntiCondens, andGS-4 glass cleaning) designed to improve the incidence of light into a greenhouse by as much as ten percent. Mardenkro is known for coatings that reflect excessive sunlight. In the past, the ReduSol coating represented a breakthrough in comparison to traditional chalk products. Now it is time for the next phase: improving the incidence of light itself. The product AntiReflect reduces reflection and consequently improves the incidence of light. The first growers now have experience with this new solution and they are indeed achieving higher production. Tomato nursery Van Adrichem in The Netherlands achieved a 5% increase in production using AntiReflect in comparison with an untreated compartment in the greenhouse which led to higher fruit weight. During cold periods, glass is often constantly wet on the inside. This condensation impedes light incidence by 5 to 8%. The solution is simple: AntiCondens. This coating operates as a spreader and creates a finely spread out water film on the glass instead of large drops. Large drops impede the incidence of light, while a water film enables better transmission. The application of AntiCondens this way significantly contributes to a better light transmission during low-light months. Sometimes light transmission drops sharply, for example when desert sand lands on the roof. When this happens, it is important to quickly clean the window panes because this truly affects production. The GS-4 glass cleaning agent is the right cleaning product for this job. It effectively removes dirt without harming the glass. AntiReflect, AntiCondens and proper cleaning form a cohesive package of solutions for improving light incidence. Together they provide for up to 10% more light in the greenhouse. Contact Mardenkro for more information about the light transmission package.